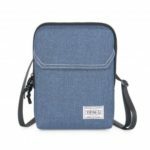 This YIPINU YT3 Travel Passport Pack is best for travel, comfortable, lightweight and water resistant passport pack, designed to provide you with a safe and secure location to store your small items, such as passports, credit cards, smartphone, etc. 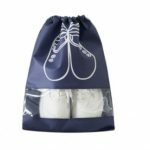 Constructed from water resistant rip-stop Oxford fabric and designed to stand the test of time, and double stitched reinforced seams prevent rips and tears. 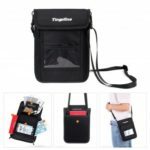 Comfortable, lightweight and water resistant passport pack, designed to provide you with a safe and secure location to store your small items, such as passports, credit cards, smartphone, etc. Constructed from water resistant rip-stop Oxford fabric and designed to stand the test of time, and double stitched reinforced seams prevent rips and tears. 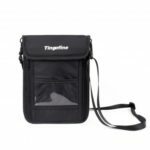 Features 3 smart storage compartments to easily organize your documentation and valuables, including two zippered pockets, one Velcro- closure patch, and an ID window for boarding passes allowing easier security checks, convenient and practical. 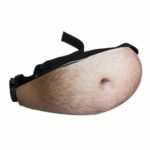 The neck wallet can be comfortably worn around the neck and underneath your clothing to protect against pickpockets. There is a headphone port behind this travel wallet, easy to access for music along your trip.